Is alcohol a stimulant? Alcohol is not a stimulant; it is a depressant. Yet differentiating between stimulants and depressants is sometimes difficult. Now, let’s take a closer look at depressants and stimulants, how both types of drugs work, and their respective side effects. Depressants, also referred to as “downers,” impact the central nervous system. They block messages from the brain’s nerve receptors and inhibit brain activity and awareness. In addition to alcohol, barbiturates and benzodiazepines are among the most common depressant drugs. Alcohol impacts a person’s ability to think clearly and act rationally. 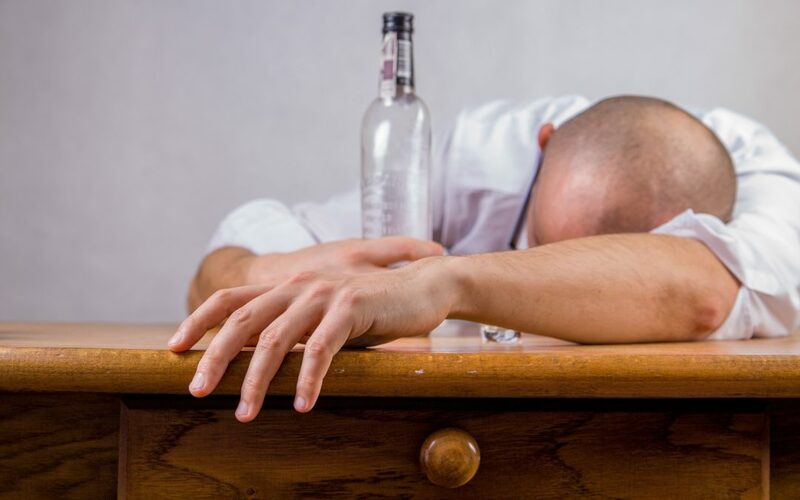 Some people consume alcohol in the hopes of becoming more alert and feeling energized, but excess alcohol consumption typically leads to loss of coordination and control. Benzodiazepines are often used to treat anxiety and insomnia. They trigger a tranquilizing chemical in the brain, and when mixed with alcohol, can be fatal. A person who continuously takes depressants may need to increase his or her dose over time to achieve the same effects. Ongoing depressant abuse may also increase a person’s risk of dependence and withdrawal if he or she suddenly stops using a depressant drug. Additionally, an individual can overdose on depressants. In this instance, an individual consumes too much of a depressant, which causes his or her breathing to slow down or stop. This leads to hypoxia, a condition that prevents oxygen from reaching the body’s tissues. Hypoxia may cause short- and long-term health problems, including nervous system and brain damage. Stimulants, also referred to as “uppers,” increase activity in the brain. As a result, they are often used to improve awareness and alertness. Caffeine: Caffeine is found in coffee, soft drinks, chocolate, and other everyday beverages and foods and is one of the most widely used psychoactive drugs in the world. Cocaine: Cocaine is an addictive stimulant drug that can be snorted through the nose, rubbed onto the gums, or injected into the bloodstream. It works quickly and delivers a high that often lasts up to one hour. Nicotine: Nicotine simultaneously acts as a stimulant and sedative. It releases adrenaline that stimulates the body. At the same time, nicotine releases the brain chemical dopamine, resulting in a pleasurable feeling. Methamphetamine: Methamphetamine is a potent stimulant available in several forms, including speed and crystal meth. It helps release dopamine, serotonin, and other brain neurotransmitters, leading to increased alertness and energy. Adderall: Adderall is a prescription medication used to treat attention-deficit/hyperactivity disorder (ADHD). In some instances, Adderall is also used to treat sleep disorders. Stimulants are among the most frequently abused drugs in the United States. They can cause a wide range of short- and long-term side effects, too. Over time, a person who constantly uses stimulants is prone to drug tolerance, dependence, and addiction. Stimulant tolerance occurs when a person regularly uses a stimulant. In this instance, an individual may need to increase the amount and frequency of stimulant use to obtain the same effects that he or she achieved in the past. Following tolerance, an individual may become physically dependent on a stimulant. At this point, an individual may experience depression, low energy, and other stimulant withdrawal symptoms if he or she goes even a few hours without drugs. Finally, stimulant addiction is characterized by the need to seek out stimulants, despite the fact that an individual understands the negative consequences associated with the drugs. If a person is struggling with stimulant addiction, this individual likely spends most of his or her time trying to acquire and use stimulants. Misuse of depressants and stimulants is a major problem in the United States. The National Institute on Drug Abuse has estimated that approximately 18 million people misused prescription depressants, stimulants, and opioids at least once in 2017. Yet few treatment options are available that have been shown to help individuals beat their depressant and stimulant addictions. At Clear Sky Recovery, we offer ibogaine therapy for depressant and stimulant addiction. Our ibogaine therapy program is medically based and backed by highly trained researchers, scientists, clinicians, and support staff. Plus, we offer a safe, comfortable environment designed to help individuals achieve long-term addiction relief. Communication is a key tenet of our ibogaine therapy program. We are open and honest with our patients and ensure they know exactly what to expect before they begin ibogaine therapy. If a patient ever has concerns or questions at any point during an ibogaine treatment, we are ready to address them as well. Each patient undergoes a personalized ibogaine therapy program, too. We understand no two patients are exactly alike, and each patient takes his or her own path to overcome his or her addiction. Meanwhile, we offer comprehensive support to each patient at each stage of his or her ibogaine treatment journey. We also provide an all-inclusive detox facility where patients can enjoy in-room video and audio systems, high-speed internet access, and other luxury accommodations. If you or someone you know is dealing with a depressant or stimulant addiction, Clear Sky Recovery is ready to help. Our ibogaine therapy program is designed to help each patient identify the root cause of his or her addictive behaviors, and ultimately, embark on a path to long-lasting addiction recovery. To find out more about our ibogaine treatment options for depressant and stimulant addiction, please contact us today at 305.901.5371.